Looking for a new or used Ford Focus in the Northeastern part of Oklahoma? Come see our selection at Vance Ford Lincoln in Miami, OK. We are known as the premier dealership in this part of the state. 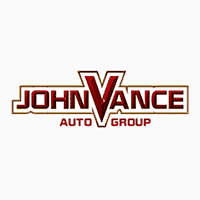 Vance Auto Group has been taking care of our Oklahoma neighbors for over 30 years now. With nine full service dealerships in Oklahoma, we have a huge inventory of new and preowned vehicles for you to select from. Come see us in Miami, OK and we will be honored to help you find that perfect vehicle you desire. The Ford Focus was built for those who love to drive with its sporty fun look and feel. Check out the driving dynamics of a Ford Focus engineered to maximize fun driving. Standard Torque Vectoring Control is designed to help the front wheels grip and steer better as you go into corners or drive in slippery conditions. Look at Focus’ other features such as electric power-assisted steering (EPAS), Active Grille Shutters and the six-speed PowerShift automatic transmission or available SelectShift six-speed automatic transmission. It also has lots of technology packed into all that style and performance with Apple Car Play and Android Auto through the available Sync 3. Stay connected through Ford + Alexis as you drive down the road. There are 4 models of Ford Focus to choose from. The all new 2019 model will be available soon. It is an all new style and lots of features to choose from.